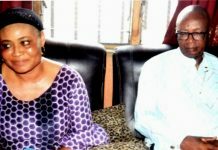 The Bayelsa State Governor, Seriake Dickson has said that Niger Delta must seriously commit resources to the education of its people in order to be able to fight for their rights. The governor said lack of education was the reason others come to the Niger Delta to degrade the environment with impunity. 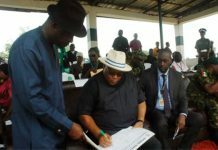 This was as his administration announced that it had offered automatic employment to 307 beneficiaries of the Bayelsa State Scholarship Scheme, who bagged doctoral and Master’s degrees in different disciplines. Dickson’s Special Adviser, Media Relations, Mr Fidelis Soriwei said this in a statement, last Sunday, explaining that the governor held a meeting with the scholarship beneficiaries and offered automatic employment to 107 PhD holders and 200 MSc holders. Dikson said, “We should not forget to invest in education. The reason we are where we are is because of lack of education; the reason people take away our resources with impunity is lack of education. “The mindless degradation of our environment, the acts of impunity against our people and our environment; what I call environmental terrorism is because of the backwardness in education. “The cost is quite huge but no matter the cost, this is the right way to go. I don’t need to know any of you to give you the opportunity and encouragment to study abroad.